Many of you are eagerly waiting for your round one letters from SFUSD (San Francisco Public Schools) and wondering what to do if you don’t get your first choice, or if you change your mind about which school is the best fit for your child. First off, if you plan to send your child to public school, you must register in person at your assigned school before the deadline of April 10th to hold your spot. Note the registration period of March 16-27 and April 6-10, 2015 excludes spring break. Register at your assigned school before April 10th, and look for welcome events. Congratulations! Register at your assigned school in person before April 10th. Next, look at your round one list, as well as any other schools that come to mind. Delete any school you prefer less than your current school, even if it has swap value. Then rank order the remaining schools by your true preference. Meanwhile, try to tour your assigned school to see if your opinion remains the same. Oftentimes, our many tours start to blur blur, our children change, or priorities change. Second round applications are due April 10th. Consider that your reject could be someone else’s dream school. Try to tour the school to see if your opinion remains the same. If you change your mind, see the scenario above; if not, look to see if SFUSD lists the school as having immediate spots for other parents to register; if not, the school might be worth registering at for swap value. Now, take out your one list and edit it for change of preferences since you last looked at it, but the strategy remains the same as round one: http://gooseling.com/2014/11/06/kindergarten-lottery-strategy. Second round applications are due April 10th. If your child was accepted into an independent or parochial school that you prefer to any public school, please do not register at your assigned public school. If you prefer the assigned public school to those where your child was accepted, and you are hoping for a waitlisted school, wait until close to the April 10th deadline, and then register at your assigned school if you have not gained admission to a private school that you prefer to your assigned public school. If at any point you gain admission off the wait list from a school you prefer to public school, please notify the school and the EPC, in consideration for children who need a school. 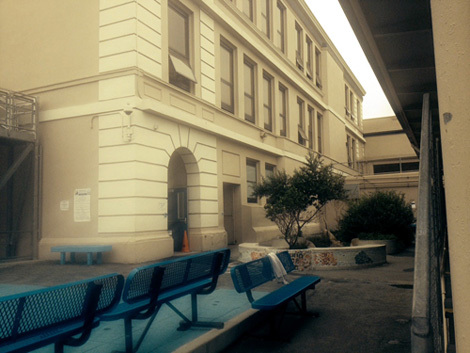 Each year, approximately 400 children don’t show up for the first days of school, and SFUSD does not receive state funding for seats unfilled the first days of schools. If you have special considerations, you can file an appeal during second round and request one particular school. These appeals are rarely granted and never granted for parental convenience. Reasons the district considers highly: access to a particular program for children with special needs (such as an Individual Education Plan or IEP), parent who works at a school and wants the child assigned, and extreme financial hardship (such as homelessness or low income). For twins, I recommend at this round not linking them for the reasons posted by School Board Member Rachel Norton here. Essentially, if you don’t link your twins, you will have two shots at the more popular schools, and then can link your second twin in round three, when the second twin will have sibling priority. This is a great resource! Thanks for the shoutout to twin parents, who like me, have additional questions when enrolling two kids in the same grade. Alison, Thank you for your support. Those of us with two kids of different ages understand well the stress of two different schools! So for twins, we absolutely recommend unlinking them for the first two rounds to get the best possible assignment, but then linking them in the later rounds to get them together, per Parents for Public School. Do I have to register at my son’s Round 1 assigned school since there is no way in the world I will send him there?? I just want to move on to Round 2. You don’t have to register to participate in round 2. I would only register if your assigned school has some swap value. In other words, when the data comes out, if the school was even middle popular, it could help your situation next round, and never hurts, but this is optional.